HALO is PoE (powered over ethernet) and consumes approximately 5W with a max of 7.5W. We are continuously testing this and it could be closer to 3-4W when complete. HALO is recess ceiling mounted and requires a 120mm hole in a ceiling panel or sheet rock. 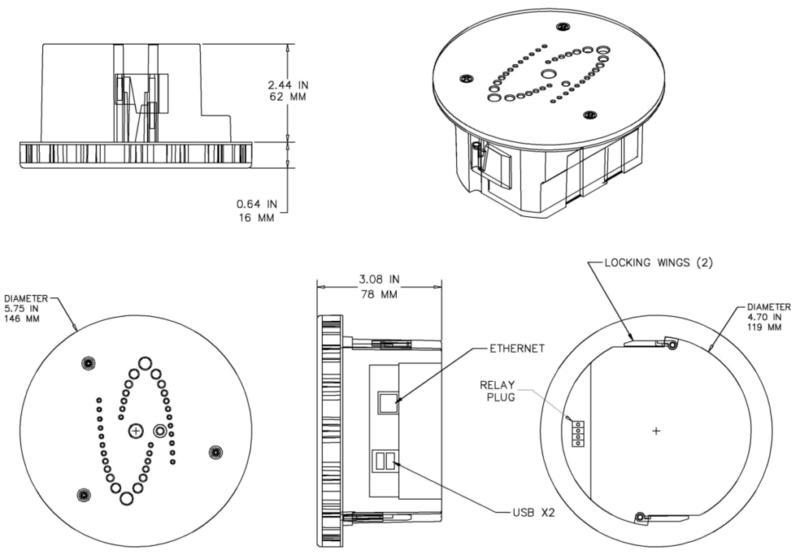 Coverage Area: The Vape Detector and Chemical Sensors are specified for a 12×12 room. Larger rooms/areas will require multiple HALO devices. Measuring for the aggression and gunshot detection ranges is still being tested.